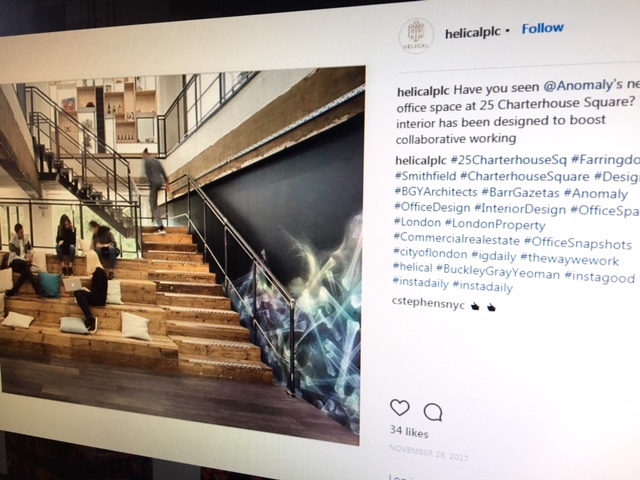 Interior image on Instagram of Helical's 25 Charterhouse Square location in London. A new era will begin at listed property developer Helical, as chairman Mike Slade is to leave the business in July 2019. Slade, who has served with Helical since 1984 and became chief executive in 1986, hands over the reins to current non-executive Richard Grant. The move sees Grant step up to deputy chairman, but he will continue as chair of the audit & risk committee and as a member of the nominations and remuneration committees. He is a former financial director of Cadogan Estates, and ex-corporate finance partner at PwC. The knock-on effect of Grant’s move is to see non-executive Richard Cotton succeed Richard Gillingwater as senior independent director. Former Carillion chairman Andrew Dougal has stepped down as a non-executive of polymer business Victrex. Victrex chairman Larry Pentz said the resignation was accepted in consideration of time pressures Dougal would face—and the impact on Victrex’s reputation—of ongoing investigations into Carillion. Media business Future has appointed Alan Newman as a non-executive and chair of its remuneration committee. 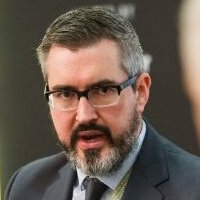 Newman is an experienced executive and accountant, including a term as chief financial officer at YouGov. Current non-executive Hugo Drayton will take on the remuneration committee chairmanship from Richard Huntingford, with Huntingford stepping up to chairman. The Financial Reporting Council has highlighted a worsening in audit quality at KPMG as reports that audit standards across the Big Four firms has fallen. The EU’s Fourth Anti-Money Laundering Directive is now in force for all EU member states, obligating corporates and other legal entities to maintain accurate and current information on their beneficial ownership.